Power Up Hosting is a company that is unique for offering an array of hosting options that utilize Solid State Drives. Although Power Up Hosting makes many of the same promises that many dedicated and managed hosting services offer nowadays, what sets them apart from the crowd is their exclusive use of Solid State Drives to ensure that their technology remains on the very cutting edge. Solid State Drives (SSD) are a core component of every creation at Power Up Hosting. With SSD, users come to appreciate extremely fast performance delivered by state-of-the-art servers. In the past, all server information was saved on hard drives. Hard drives use magnetic technology to write and read data onto constantly spinning discs housed inside metal boxes. At the time of conception, this was a groundbreaking form of data storage, but new technology has replaced this outdated method. Power Up Hosting uses exclusively SSD to meet the ever-rising standards of contemporary users. SSDs can be up to ten times quicker at reading and writing than their hard drive counterparts. That means that data for websites, applications, and websites are able to be stored faster and more efficiently than ever before. Moreover, Power Up offers the services of engineers using RAID and LVM technologies that increase and maintain the performance and reliability of SSDs. This makes the machines fault-tolerant so that even in the event of a failed drive, you would never notice the impact. The main goal is to ensure that your informations remains available and can endure the pressures of any form of demand. In a world of ever-increasing technological ability, your company can’t afford to remain behind on the times when it comes to large-scale data-processing technology. Power Up Hosting understand the needs that your company has and has sought to make your experience with your hosting provider as simple and intuitive as possible. This aim comes part and parcel with providing the absolute highest quality hosting that is available with the level of technology currently on the market. Say goodbye to hard drives the same way you said goodbye to the floppy disk. Getting started with Power Up Hosting is incredibly easy. They offer hosting services at price ranges that are affordable for anyone between absolute beginners to long-time professionals. The icing on the cake is that all of Power Up Hosting’s services fully utilize SSD technology and the most recent Intel Processors without any extra costs. Use the following Power Up Hosting Coupon to get 10% off your first month of service. To access this online discount, all you have to do is navigate to their site and peruse the variety of hosting options available. After you make your decision, use the coupon code “MONETIZEPROS” at the finalization page to gain access to your 10% discount. Users are more cautious than ever when looking for an unvetted server. There is an abundance of information out there, and not all of it is reliable. It’s easy to feel uncertain about whether or not you’re being misled about this or that particular service. Eventually, it’s not hard to lose interest entirely and become despondent. Fortunately, Power Up Hosting lives up to its promises. 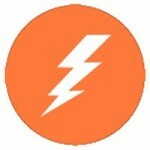 The SEO websites remain all abuzz with talk of Power Up hosting. Customer service with this provider is phenomenal and commonly receives high praise. Moreover, customer service is available twenty-four seven to answer any lingering questions you may have. Power Up Hosting has an excellent online reputation, and SEO experts commonly recommend their service. Even the least expensive plans provide an abundance of utility. Even though Power Up Hosting is widely regarded in the community, it’s important to do your own research. Contact Power Up Hosting if you have any specific questions, and investigate forums for the latest feedback regarding the company’s efficacy. Power Up Hosting offers powerful Linux servers that offer you full control over the virtualized hardware they provide. You can effectively run your applications or websites with ease thanks to their clean and efficient interface. Power Up Hosting utilizes KVM tech to virtualize all of their hardware. This allows them to deliver every ounce of memory and SSD space directly to your virtual private server. Even if you have sites that regularly see heavy traffic or are in need of a virtual environment for the development of software, a Linux SSD server from Power Up Hosting is a great place to start. All of Power Up Hosting’s VPS nodes continue to be built with SSD on RAID, and they have LVM-optimized setups right out of the box. Moreover, Power Up Hosting employs an veritable battalion of highly experienced and rigorously trained adminstrative experts. They are ready to help anywhere and any time. Linux servers give you complete root access and absolute control over your server. Creating your online presence is less than a minute away. Power Up Hosting uses PowerPress to leverage the most recent features of hardware like SSD and Intel processing power in addition to software updates like CloudLinux and LiteSpeed. This provides you with the most powerful and resilient Managed WordPress Hosting that is feasible. In addition to these technological benefits, Power Up Hosting also offers expert WordPress technicians to give you the exact help you need twenty four hours per day, seven days per week. Talk about convenient! Installing WordPress functionality is completely automated, and the annoying task of updating the core modules is equally automated. Simply enter your account information and pick from a selection of visual themes to get started. Soon, your wordpress with be the talk of the town! Power Up Hosting offers a full line of semi-dedicated and fully-dedicated proxies that make sure that your web-access anonymity is lightning-fast and bank-vault secure. Using these proxies will keep you up to date with you appetite for data so you will never miss a byte.